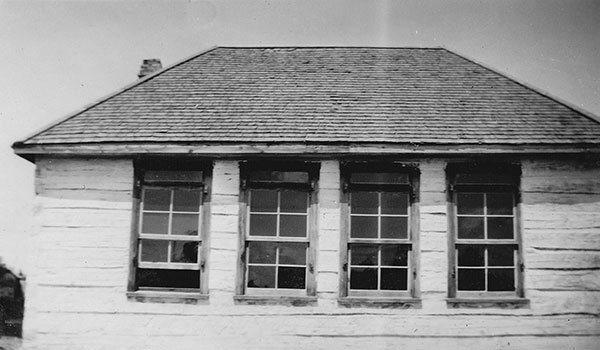 The Dunlop School District was established formally in June 1926, named for school inspector J. E. S. Dunlop, and a schoolhouse was built at SW14-18-7E in the Rural Municipality of Alexander, on four acres donated by local farmer Oscar Hart. The building was destroyed by fire during the winter of early 1943 and a replacement was constructed later that year by two carpenters from Grand Marais, Pete Olsen and Billy Webb. It operated until 1966 when the school closed and students were bused to Walter Whyte School. The building was moved to the grounds of Grand Marais School where it was used as a classroom for about two years. 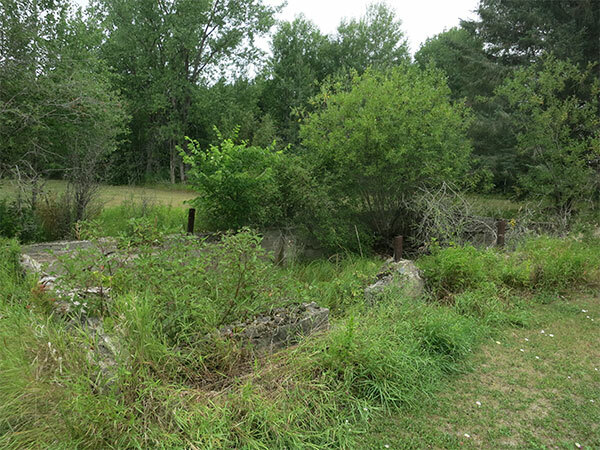 The school’s concrete foundation remains at the original site. The teachers of Dunlop School were Jaroslaw Wywara (1926), Jane Vryenhock (1926-1927), Esther Guy (1927), Eva Schwartz (1928), Jessie M. Post (1928), Madeleine Gertrude MacTavish (1929), Lydia Haehns (1929-1930), Gertrude Frances Johnston (1930-1911), Mabel Sheard (1931-1932), Mrs. L. Schmidt (1932), Mabel Sheard (1933), Lucy Evaline Mills (1933-1937), Marjorie Louise Harper (1937-1938), Vivian Yvonne Airth (1938-1939), Marie C. Ignot (1940), Mary Madeliene Burzminski (1940-1941), Margaret Gerenia Rowan (1941), Eva C. Gamberg (1942), Marie C. Reckseidler (1942-1945), Marie Alexiuk (1945-1946), Mrs. Marie Orischuk (1947), Nestor Jeffrey Topolinski (1947-1948), Norma Eileen Ulrich (1948-1949), Mrs. Marjorie Louise Uchtmann (1949-1950), Nestor Jeffrey Topolinski (1950-1951), Leonard Baumgartner (195l-1953), Mary Bernice Budz (1953-1955), Marjorie Louise Uchtmann (1955-1958), Mrs. L. Fenuik (1958-1960), Harvey J. Lacroix (1960-1961), Bruce Yarrow (1964-1965), and A. Lesosky (1965-1966). GR8461, A0233, C131-3, page 104. Victoria Beach East topographic map, 62I/15 East, Edition 1, Series A743 [Archives of Manitoba]. East Side of the Red, 1884-1984 by St. Clements Historical Committee, 1984.